The swing revival, this "counter-revolution" thing, as Brian Blain described it, has its consequences. The best bands and performers active in the scene don't just get their gigs by the occasional handful. They are clocking them up all over Europe by the hundred. And what that means is that the performers' stage craft, their ability to make choices in the moment, to build artistry, confidence and sass progresses by leaps and bounds. 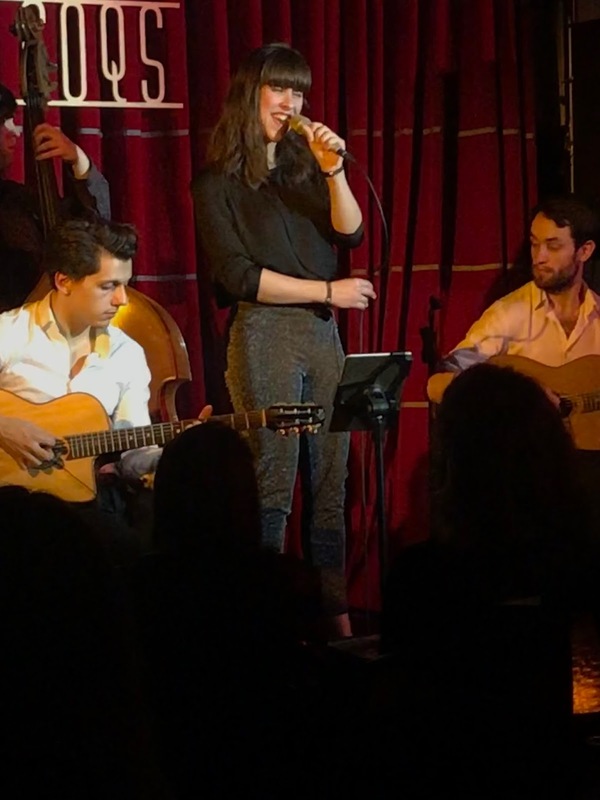 Dutch singer Eva Scholten, who was with the quartet Latchepen at Crazy Coqs last night on the first date of four in the UK, graduated from Amsterdam Conservatory in 2010. There is a clip from her final recital. To put it mildly, the transformation since then has been total. She has the massive musicality and repertoire knowledge one would expect, but those are now combined with a strong sense of what she wants to do with each song, of how to connect with an audience, and of who she really is. This was a highly impressive and joyful performance. The most obvious measure of the progression was to hear her sing the same song from that 2010 final recital last night, Everything Happens To Me. What it now has is a freedom and a lightness which made me think that any jazz fan who treasures her or his Helen Merrill albums will find everything to enjoy about Eva Scholten’s singing. But there is more. She also can launch into a bebop head like Sonny Rollins’ Oleo at breakneck pace. And then then she achieves that rare thing which is to make scatting appear natural, and tremendous fun. Alongside Camille Bertault, Scholten is a current singer who succeeds in making scatting an irresistible expression of musicality and joy. Latchepen are a quartet who got to know each other in Leeds, and last night's performance confirmed John Marley's judgement in his recent CD review that "standards are well-executed and performances are flawless". 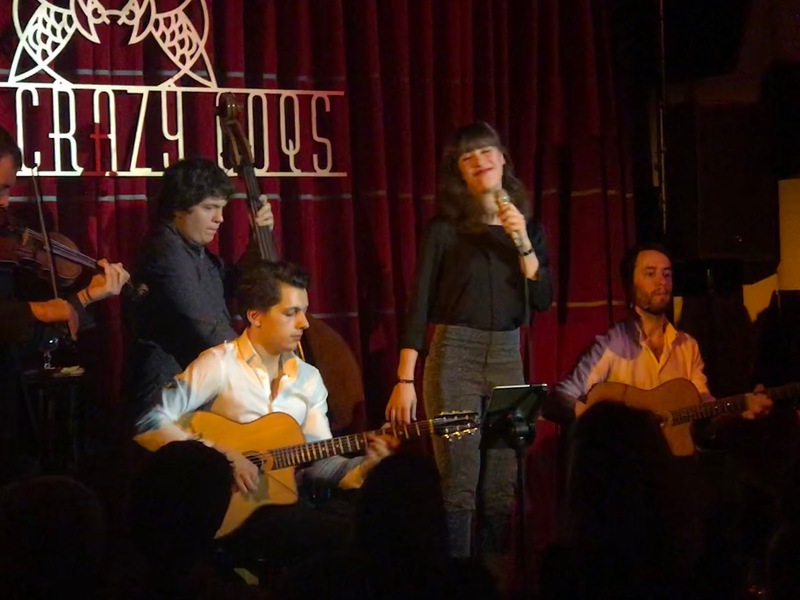 They don't ever put a foot wrong, and with their two well-matched guitarists Kourosh Kanani and Jeremie Coullon, and fine bassist Simon Read, they have a very well-honed rhythm unit. If I was being picky, I would have wanted violinist Matt Holborn to find a little more "fantaisie" and freedom than he did last night, but it is almost inevitable that by the fourth night he will have. That said, the arrival of Eva Scholten on these shores is something to celebrate; she is bound to be back soon.